Come to my art opening next Thursday! 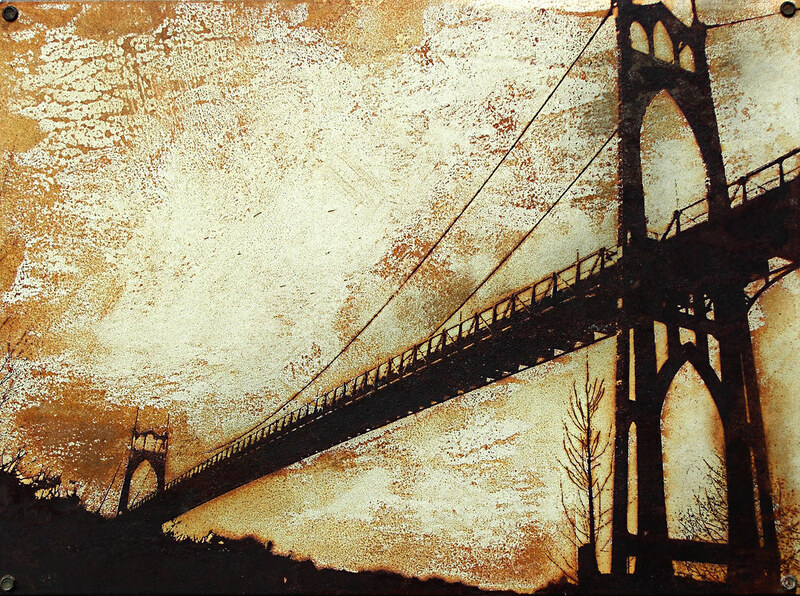 another piece from the show on display at Grace Salon in Portland. Submissions Deadline: March 13 at 1pm. *art works include and are not limited to: drawings, paintings, collage, ceramics, sculpture, installation, textiles, jewelry, knitting, fashion design, spoken word, hip hop theatre, opera, dance, or anything else that involves the creative brain. 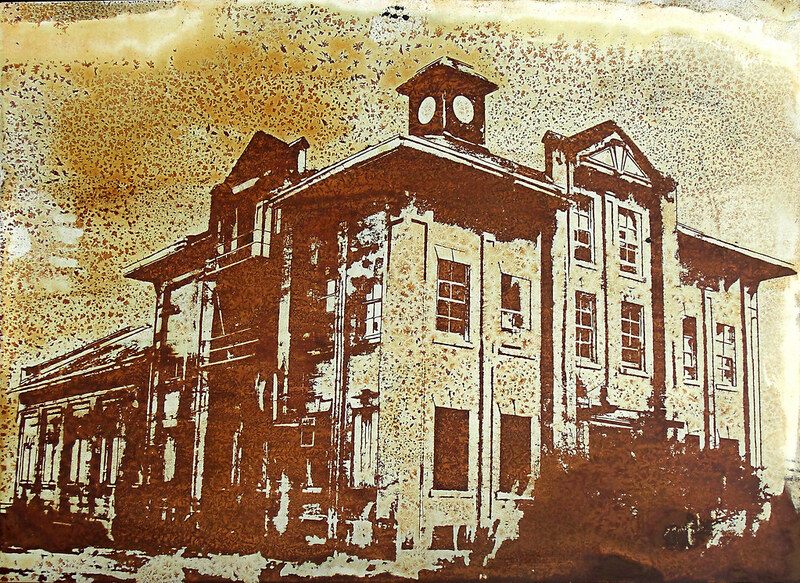 If I can get a new rust piece ready in time, I will be submitting to this exhibition. If you know an artist living in NorthEast Portland let them know! 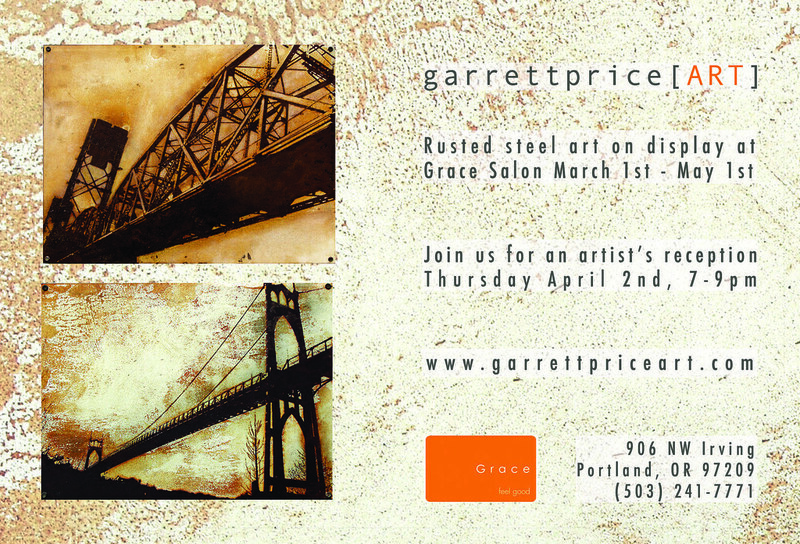 i have a new show of rusted steel and etched steel pieces on display in Portland, OR. 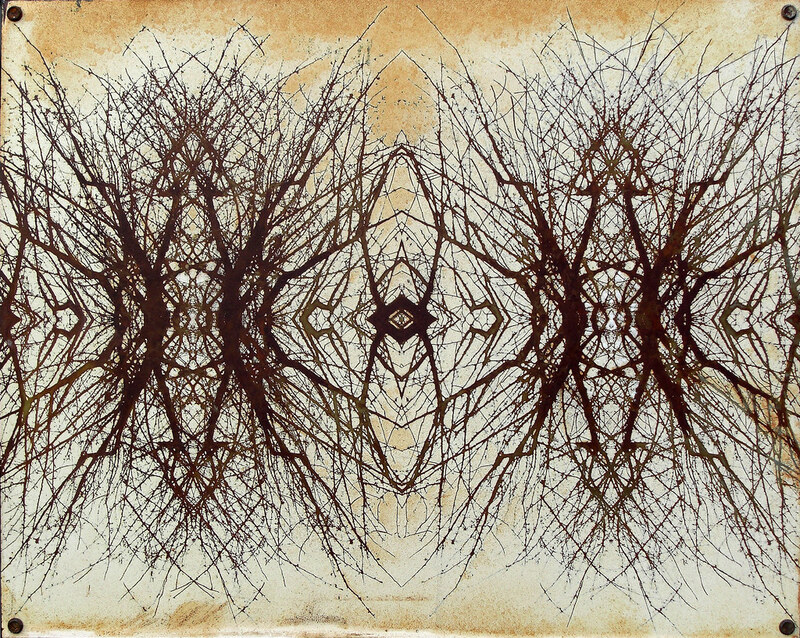 the newest pieces are a new technique i am working on involving using acrylic paint to mask areas of a piece of sheet metal, and then creating oxidation on the non masked areas of the steel with acids. 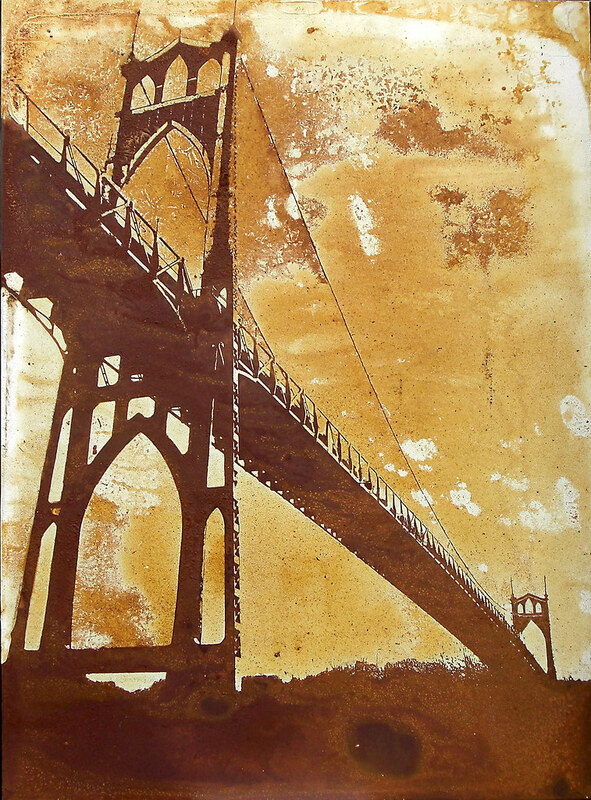 the open steel rusts and the white acrylic paint stains with varying shades of rust orange. i am super excited about this new technique i'm working on, and these are just the very first experimental pieces i have done in developing this idea. great new developments are on the way. come see them in person at Grace Salon , at 906 NW Irving in Portland. 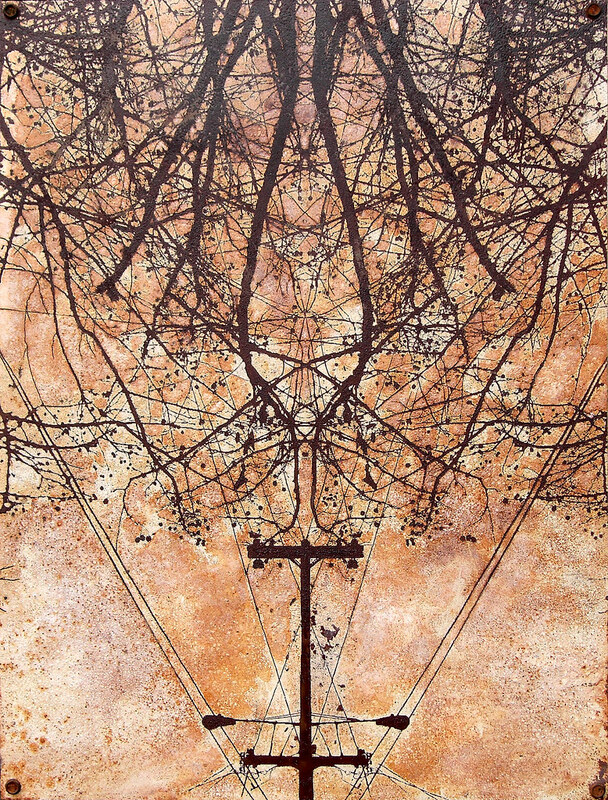 a first Thursday reception will be held on APRIL 2nd, but the show is on display now until the end of April. 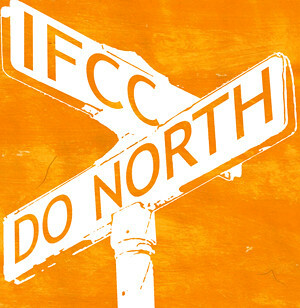 i got this image from woostercollective.com, a pretty decent page that updates daily with street art photos. 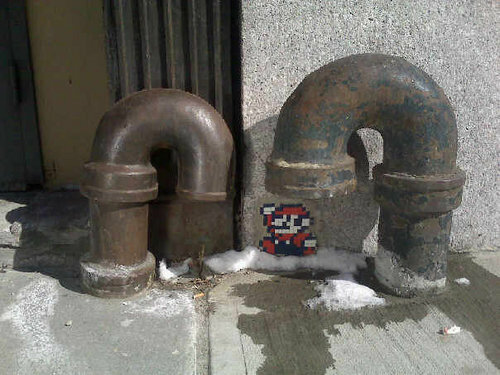 this is one of the best examples of what i think street art should always aspire to. so rad!!! 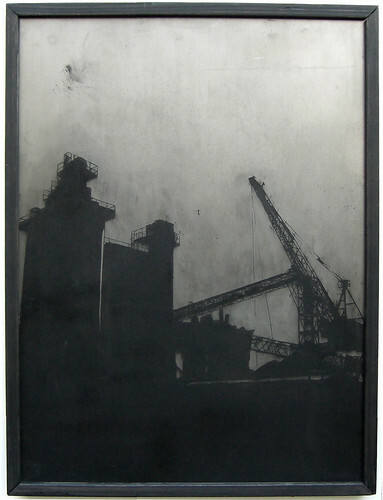 A new steel etching will be up for sale at this years Cascade AIDS Project art auction. The auction will be held Saturday, April 18 at 6pm. Find out more here.